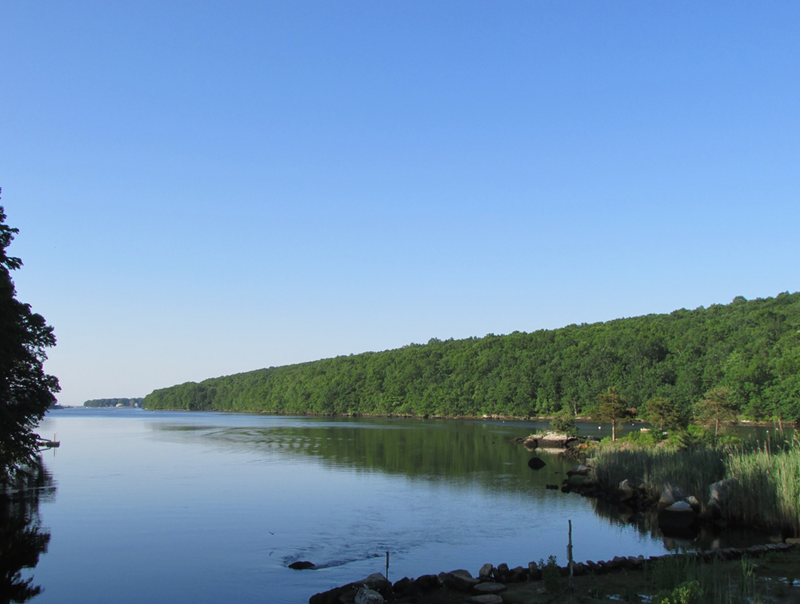 New Haven, Conn.—Connecticut Fund for the Environment and its bi-state program Save the Sound is formally intervening in the development case surrounding East Lyme’s Oswegatchie Hills. CFE/Save the Sound joins the Friends of Oswegatchie Hills Nature Preserve and Save the River – Save the Hills in their long-running battle to preserve this important stretch of forested land adjacent to the Niantic River. The Connecticut Environmental Protection Act establishes that there is a public trust in Connecticut’s environmental resources and allows citizens and organizations to intervene, as full legal parties, in proceedings that involve conduct that is likely to unreasonably pollute, impair, or destroy the public trust in the air, water, or other natural resources of the state. CFE/Save the Sound is intervening under CEPA to oppose the application of Landmark Development Group for rezoning and preliminary site plan approval pending before the East Lyme Zoning Commission. The pleading alleges that approval of the development would destroy important open space, pollute wetlands and the Niantic River, and violate state law, local regulations, and judicial orders. Oswegatchie Hills property along the Niantic River. Photo credit Vivian Brooks. The current plan submitted by Landmark Development LLC seeks to construct 840 units of housing, along with 1,767 parking spaces: approximately 36 acres of total impervious surface. The development would be located on a steep slope near the top of the Hills and directly uphill from wetlands and the Niantic River. CFE/Save the Sound previously submitted a letter to the Town of East Lyme’s Zoning Commission and Inlands Wetlands Agency asking the Commission to deny the application for the rezoning and preliminary site plan because it has not yet gone through a legally required wetlands review. The letter was followed by an engineering report submitted by The Friends and STR-STH detailing the wetlands impact of the proposal. The next step in the process is a public hearing, scheduled for May 21 at 7:30 p.m. Nett Hall, Camp Niantic Army National Guard Site in Niantic. Members of the public are encouraged to attend to learn more about, and speak out against, the environmental destruction that would be caused by this development and to ask their elected officials to oppose it.